Fine silver wire .999 hand forged, fused, and tumbled in my Minnesota studio. 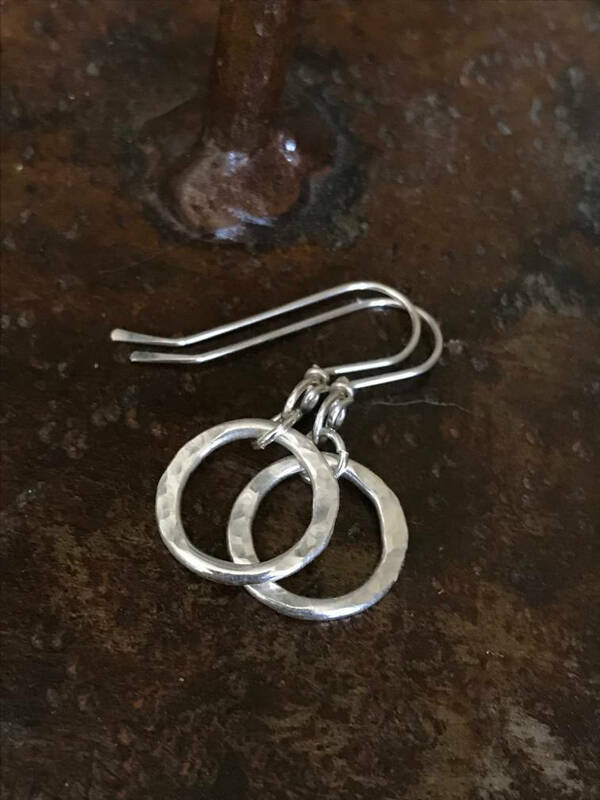 Easy to wear everyday earrings. Handmade of fine silver wire, 16 gauge wire. 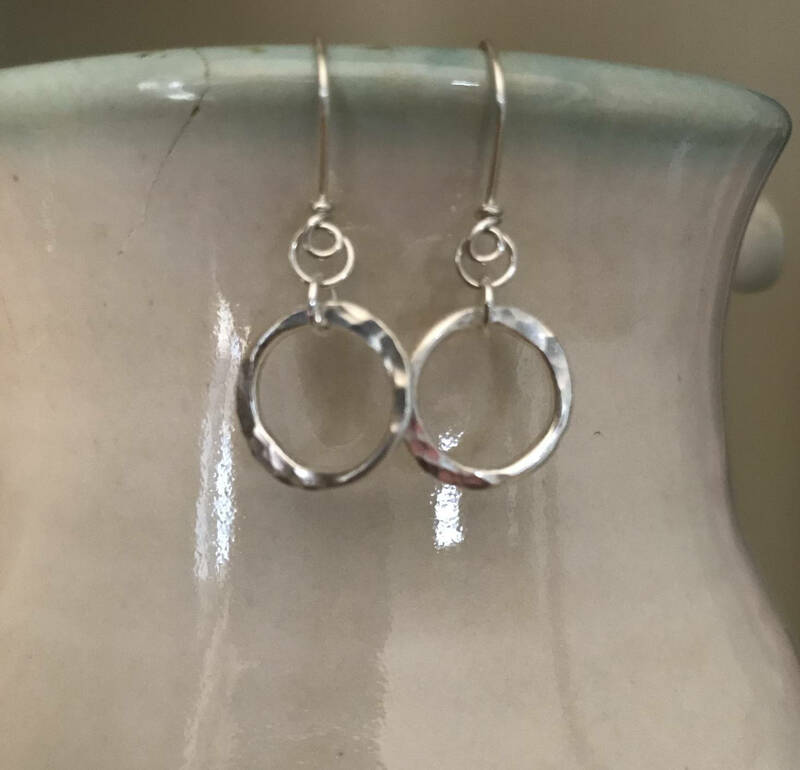 Polished to a shine, fine silver is more resistant to tarnishing than sterling silver, easy to maintain, simply polish every now and again and these earrings will last for a long time. 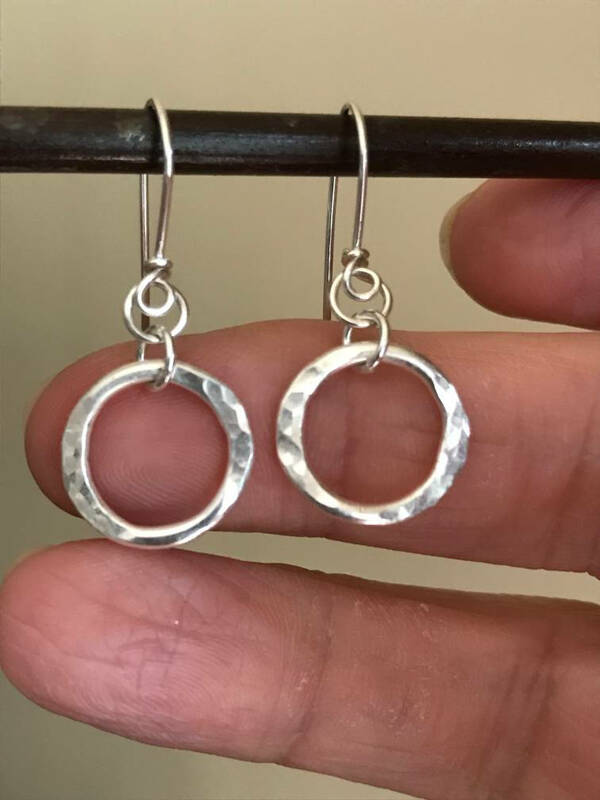 Easy, fun, lightweight to wear. 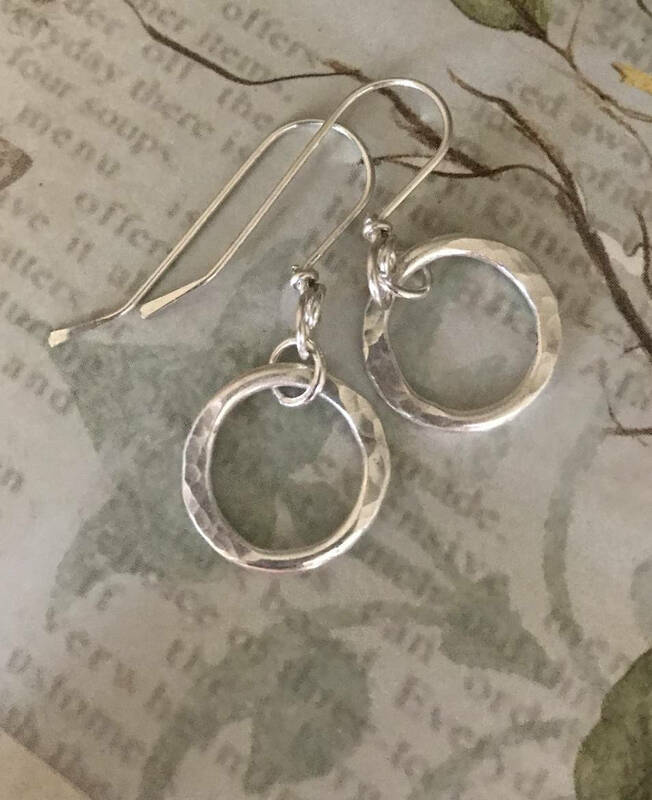 Each pair is unique and organic hand forged shape with slight variances due to the individual design and fusing process. Each pair is made upon ordering. Slight variances may occur but are as close to the picture shown as possible.